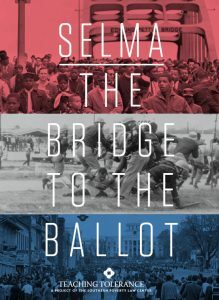 Selma: Bridge To The Ballot tells the story of a courageous group of students and teachers who, along with other activists, fought a nonviolent battle to win voting rights for African Americans in the South. Standing in their way: a century of Jim Crow, a resistant and segregationist state, and a federal government slow to fully embrace equality. By organizing and marching bravely in the face of intimidation, violence, arrest and even murder, these change-makers achieved one of the most significant victories of the civil rights era.